"DX Ride Watch Set" is appearing from "Masked Rider Georgete" now on air. 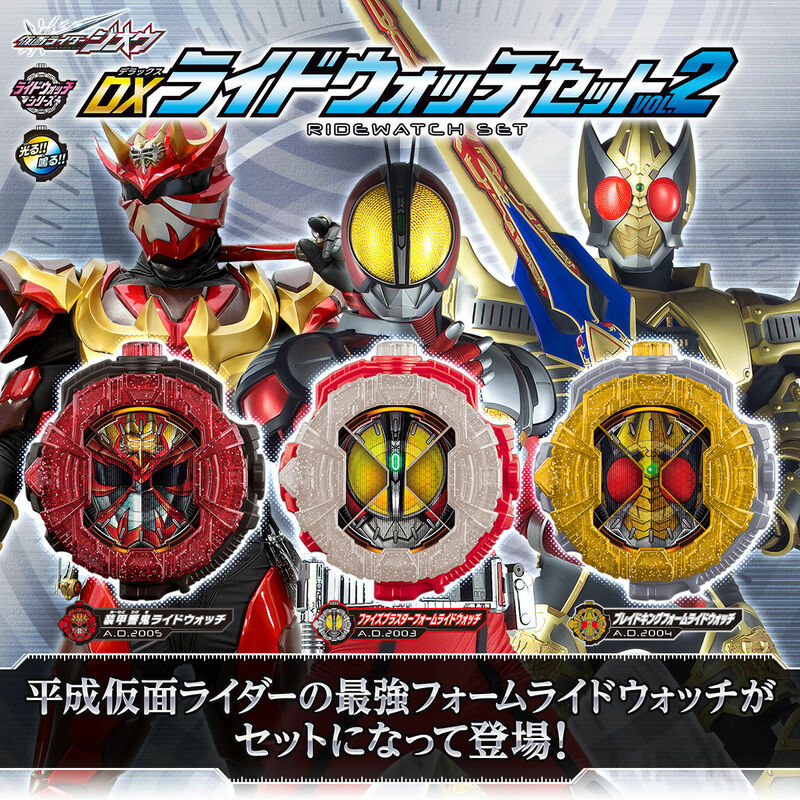 "DX Fair blaster form ride watch" "DX Blade King form ride watch" "DX armored Hikiki demo ride watch" was set as "DX Ridewatch set VOL.2" appeared! In single item play, when changing the cover the picture changes. When pressing the button on the top surface, the LED emits light, and the sound unique to each ride watch such as "Maximum output Crimson body! Marginal reinforcement fair blaster form!" Is activated. In addition, set to "DX jiku driver" separately sold, Armor time turning the belt 360 °. The LED will fire and transformation tones corresponding to each ride watch will be activated. Each LR44 × 3 (included) ※ The batteries set are for testing.